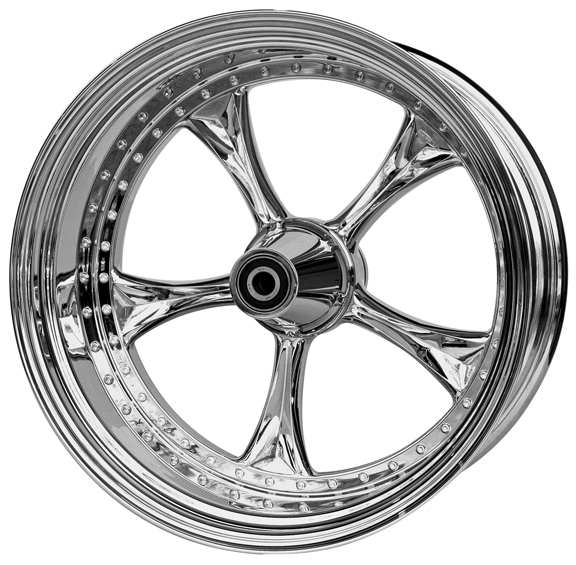 3D Lowrider Custom Motorcycle Wheels are replacements for the stock Harley Davidson rims. Front custom motorcycle wheels are available in 21×3.5, 18×3.5 and 23×4.5, rear custom motorcycle wheels are available in 18×8.5, 18×10.5, 18×11.5 and 21×9. 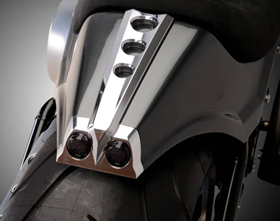 These top-quality custom motorcycle wheels are CNC machined with a manufacturing process which allows to cut billet aluminum with variable curving radiuses (3D machining). CNC technology guarantees a high-tech look, elaborate construction and outstanding workmanship to pass the hardest tests at the German TÜV. 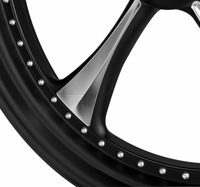 3D Lowrider Custom Motorcycle Wheels are available in polished finish or black anodized with CNC machined details to add some contrast. Three piece design (hub, spokes and rim). 3D Lowrider Custom Motorcycle Wheels for Harley’s perfectly match our Lowrider Motorcycle Pulley, Lowrider Motorcycle Rotors and Rear caliper for pulley-brake combination. I love the euro style custom v-rods and i’m looking to start customizing my 13 V Rod Muscle, can you tell me if the low rider wheel comes in stock size (240/40R-18 79V) I like the black 3D low rider. Also if my stock rake say’s 34 and I change out the triple trees and it says +5 rake does it move the front wheel outward? If so, is that more like a chopper? basically I want the front end like your thunder bike but I don’t want to spend that kind of money to change out the forks…I would rather spend money on engine performance. 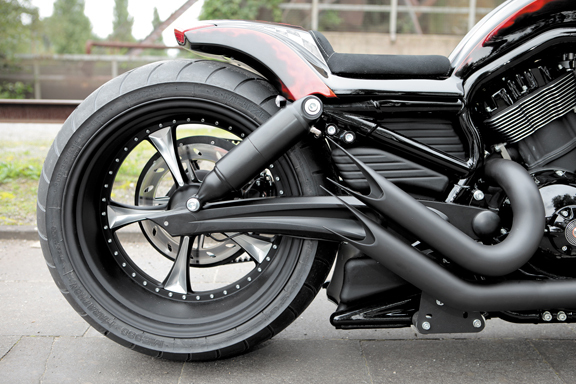 Thank you for your interest in Eurocomponents’ custom motorcycle wheels for V-Rod’s. 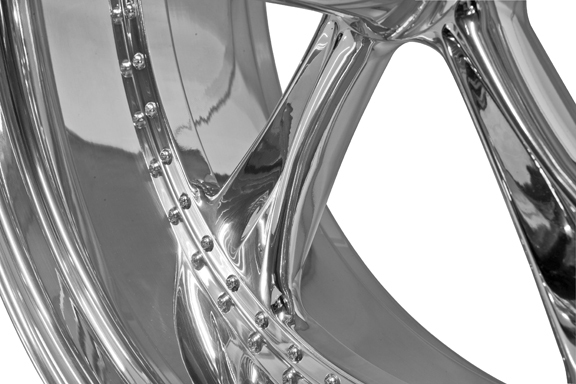 Our front wheels for V-Rods are available in 18×3.5 or 18×4.5. 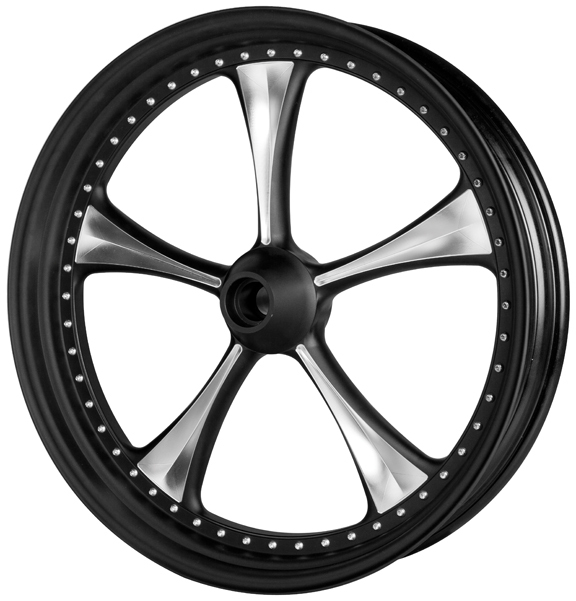 Our rear wheels for V-Rods are available in 18×6, 18×7, 18×7.5, 18×8.5, 18×9, 18×9.5, 18×10, 18×10.5, 18×11, 18×11.5. Keeping the stock fork tubes the bike will still have an acceptable trail and handle as stock. Would these wheels fit onto a Yamaha V star 650 custom, 2011 model? 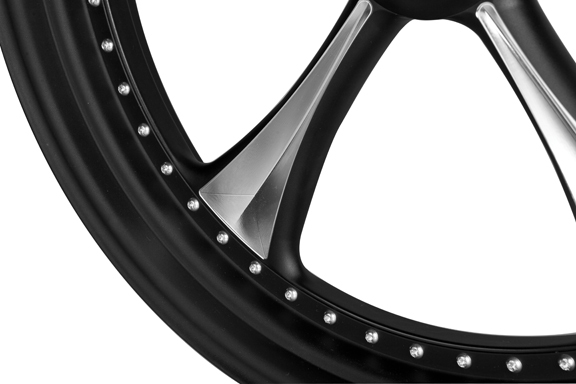 Thank you for your interest in Eurocomponents’ custom motorcycle wheels. 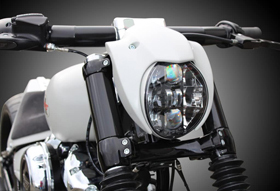 Yes, we can make specific wheels for your Yamaha V star 650 Custom. what is the difference between single flange and dual flange the wheels 3D lowrider? Single flange is for single brake disc. Dual flange is for two brake discs. Im looking for rims to fit my Dyna street bob. I want to fit a 200 rear tyre, so looking for a 18×5.5 rear and 21×3.5 front. I’m very interested in purchasing some of your custom wheels for my vstar in the near future, but I was also wondering about the gray colored bobber image posted on your site. What type of bike is it and what kind of handle bars are on it? 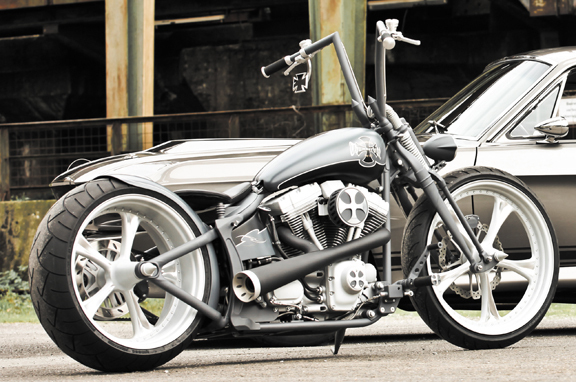 The gray bobber is a fully customized Harley Davidson Springer. 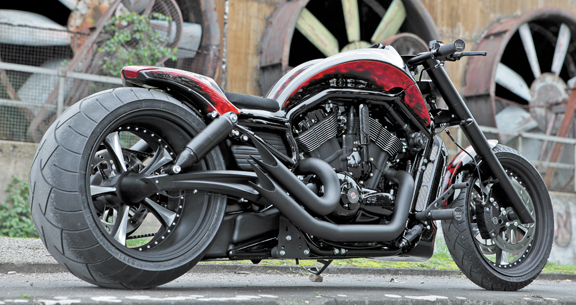 Handlebars were custom fabricated for this particular bike. 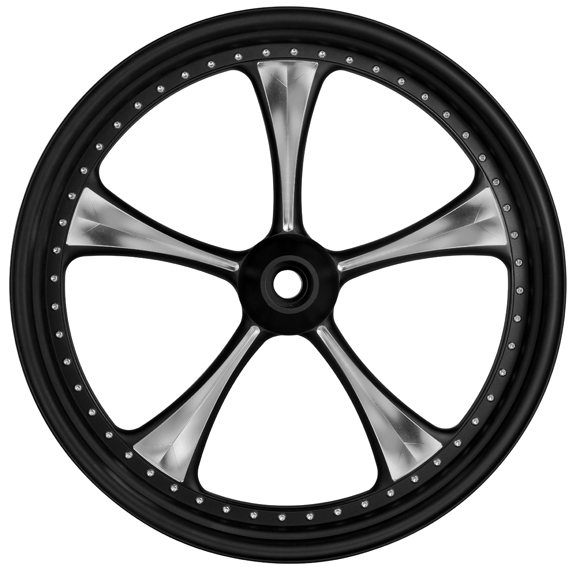 Hi guys i am very keen on a set of your 3D custom wheels anodized black with the machine centers. Ive got a 2015 Dyna Wide Glide. I was thinking of putting a 23″ front and 18″ x 5.5″ on the back. Could you please email me a quote? I’ve been stuffed around by another company so if you could just be straight up it would be much appreciated thanks.